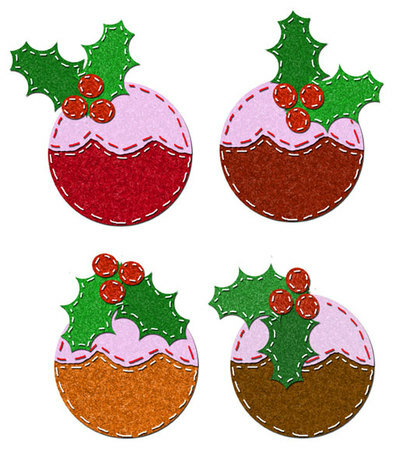 Some big ol' Christmas puds to make ornaments and cards with. Inspired by all those gorgeous felt ornaments I've been seeing online that people have been making. Nice and large, four to a page - you get puds traditionally coloured. a page for masculine themes. 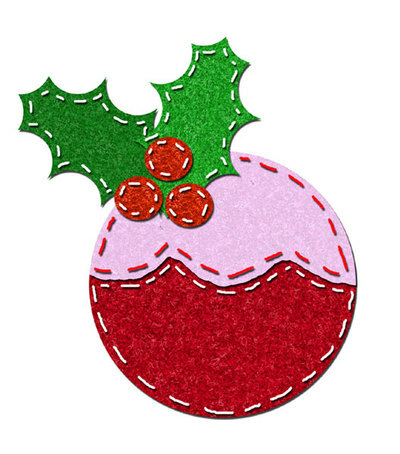 Fold some card in half and glue a pud to the front for quick card making. Use these for gift tags. 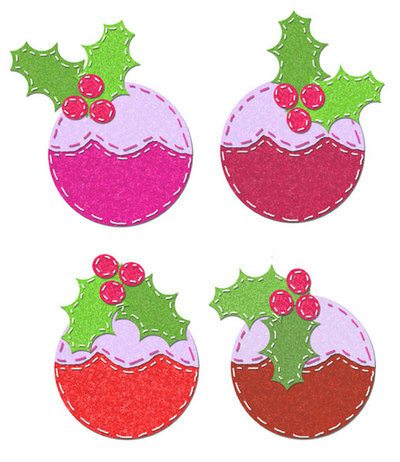 Glue onto card, cut out for ornaments/decorations.